We didn’t put out a snowmap, because of the weakness and insignificance of the overall storm. But pretty much everyone from I-84 on south saw less than an inch, before melting began. 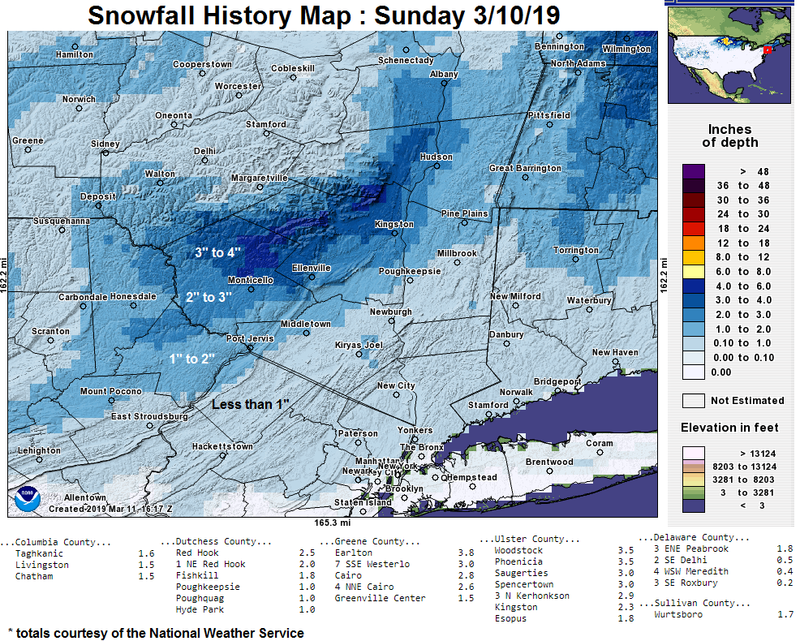 The eastern Catskills did the best, with widespread 1 to 3 inch amounts… and some 4″ amounts in the highest elevations. But now, as we move into the work week… the sun has returned, and temperatures are climbing well into the 40s. This should melt the remaining snowpack in most areas. We’ll see a sharp NW wind usher in colder air for Tuesday and Wednesday… before a SURGE of warmth floods northward by the week’s end. Highs in the 50s and near 60° are likely by the end of the week. A sign that spring is beginning to strengthen it’s grip. We will likely see 1 more blast of winter weather between March 17th and March 25th… where we could see a threat of one final winter storm. Once we get through that… it appears that springtime weather will begin to settle in, and winter… may finally be beaten. More updates through the week, but for now… this week’s weather looks quiet and chilly, through mid week. Have a great start to the week! The winter of 2018-2019 has been consistent. Storm after storm sees snow develop around the region, with a low pressure that cuts inland to our west. That sends warm air surging northeastward, over the cold air at the surface. The end result, is snow to sleet to freezing rain… and possibly even rain. Tuesday was no different, and much of the Hudson Valley looks like a mini-glacier, because of the 2 to 4 inches of glazed ice covering everything. So lets press the “rewind” button, and look at how the forecast performed. As usual, we’ll start with the Final Forecast, the Storm History Map, and the NWS snow totals. As it turned out, our preliminary forecast was even better than our final forecast. We increased the snowfall ranges by an inch or two on Monday night, because some of the data we were seeing was suggesting the warm wedge of air would be delayed. However, that thin wedge of warmth would not be delayed or denied, and the changeover to sleet occurred right in the projected timeframe. 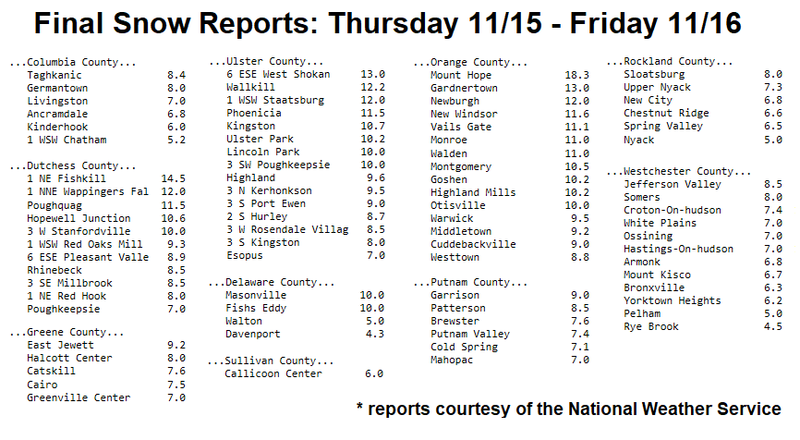 The result was widespread snowfall reports of 2 to 5 inches all around the Hudson Valley. That snowfall was followed by moderate accumulations of sleet, leaving many with 4 or 5 inches of sleet and snow to clear by Wednesday morning. If you compare the forecast to what the result was… only the Catskills were possibly a hair underdone. 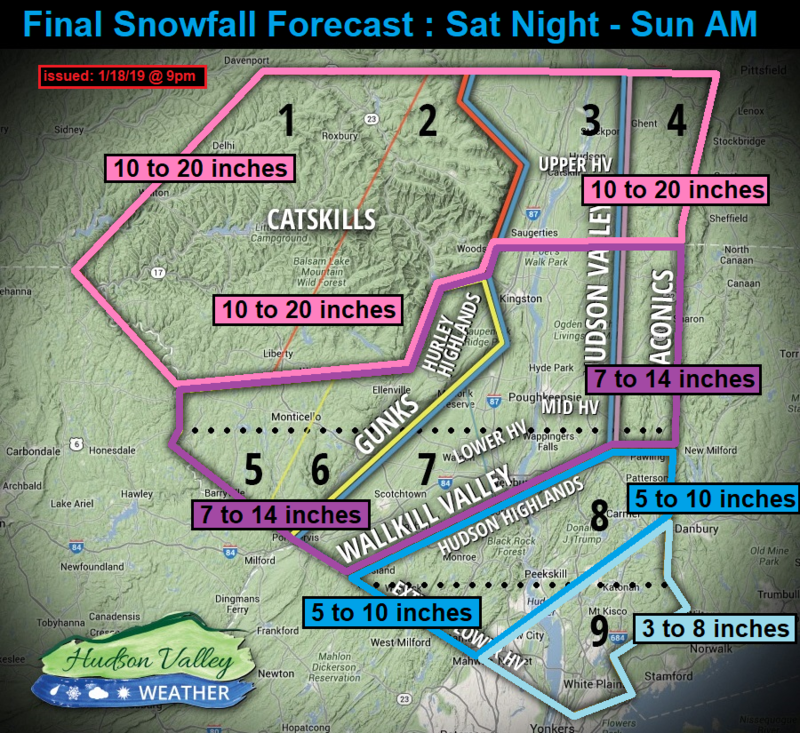 With many reports in the 4 to 7 inch range… the preliminary forecast would have been perfect for the Catskills. That said… many reports of 5 or 6 inches in the Catskills still falls within the 5 to 9 inch range. Also, we received many concerned questions and comments leading up to the storm, because of other forecasts that were significantly more than what we were projecting. For instance, the National Weather Service had Orange county in a 5 to 7 inch range, Dutchess county in a 6 to 8 inch range, and Ulster county in a 5 to 8 inch range. Our forecast for all 3 areas was 2 to 6 inches, and was originally 2 to 5 inches. The end result for this entire area ended up being 2 to 5 inches in general, before a rapid transition to sleet. It just highlights why we try not to focus on any other forecast leading up to a storm. To say that the NWS and Weather Channel projections didn’t influence our thinking in the final forecast, wouldn’t be totally honest. When you make a prediction, and everyone else has a prediction for nearly twice what you’re projecting… it requires a bit of confidence to hold your ground and not be influenced. However, at the end of the day… the totality of our forecast (impacts, timing and accumulations)… was something we are very happy with an proud of. 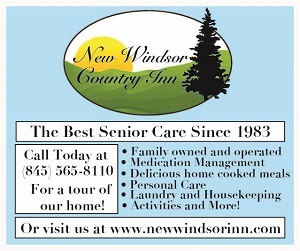 We hope that you found the forecast to be helpful in preparing you for what to expect. 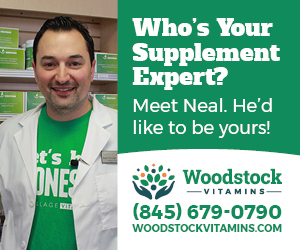 Our #1 goal is to keep you a step ahead of the storm… and our forecast on this event did that. Thank you for all your continued support. It’s what keeps us going and motivated. Have a great day! The bitter cold has set in over the last 2 days, and since Sunday afternoon, it’s felt more like Alaska than the Hudson Valley. Lows Monday morning ranged between -5° to +5° across the region, and similar temperatures are likely as we wake up on Tuesday… maybe a few degrees warmer. But after our bitter 36 hour blast of artic air, things will begin to slowly improve on Tuesday. Highs will climb about 10 degrees warmer, which sounds pretty good… until you realize the high on Tuesday in Poughkeepsie was about 10°. So highs in the low 20s are likely. Things get even warmer on Wednesday, as another storm system approaches. A frontal system will spread rain showers into the region… yes RAIN. Temps will top out around 40° on Wednesday, so anything that falls, will do so in the form of rain. The showers are likely light by late afternoon, but the rain becomes steadier and heavier overnight into Thursday morning. A pretty difficult pill to swallow for winter weather lovers, as we were robbed of snow by sleet and freezing rain in our last storm on Sunday. Then hit with a bitter arctic blast for Monday… only to rain again on Wednesday. But the long range pattern is changing. What we’re seeing right now, is the weather pattern and jet stream trying to settle into a colder pattern. These are warm waves of resistance, that are the result of waves in the jet stream. Persistent cold temps are on the way… and with them, will come chances for snow. Being patient is difficult for snow lovers… trust us, we feel you. Finally, here are the recap stats from the last winter storm. We’ll share 4 images with you. We’ll share the Snow History Map, the reported totals, our Final Adjusted forecast (issued 9 hours before storm), and our Final Forecast (issued 18 hours before storm). Our Adjusted Final Forecast turned out decent… once we finally realized that the storm would track considerably further north than the mid-range data suggested. Our persistent conversation about how difficult the transition line was to forecast, and significant impact on snow totals, hopefully had everyone properly prepared… even if you were depressed about ice instead of snow. Wow… what a start to the 18-19 winter season! 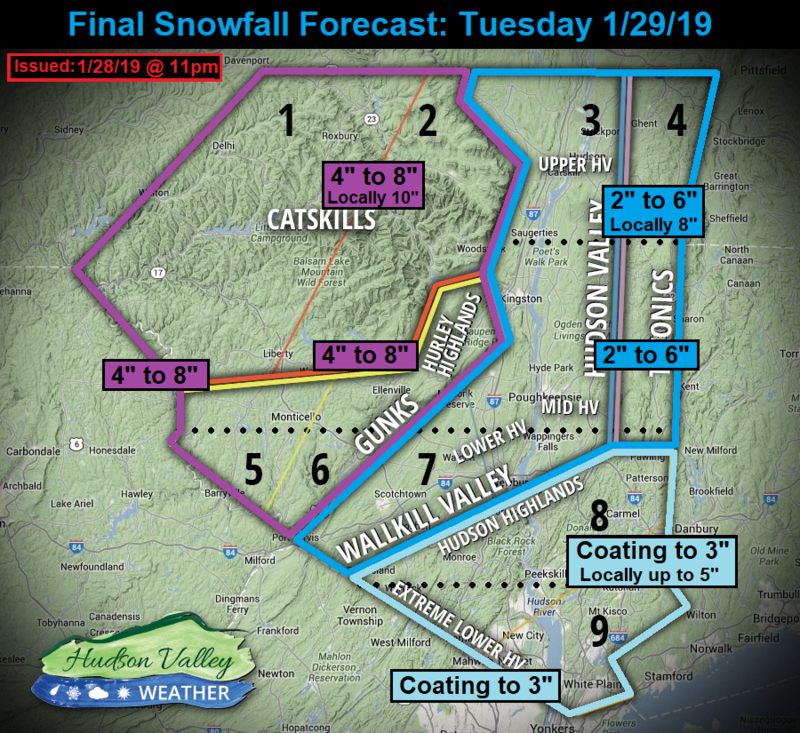 Our first winter storm system slammed the Hudson Valley Thursday afternoon and evening, and lingered into Friday morning. The impacts across the region were very significant, causing some parts of the area to be crippled in terms of the Thursday PM commute. So we’re going to go through this storm in detail, and discuss how our 1st storm of the season caused so much distress on the Hudson Valley. 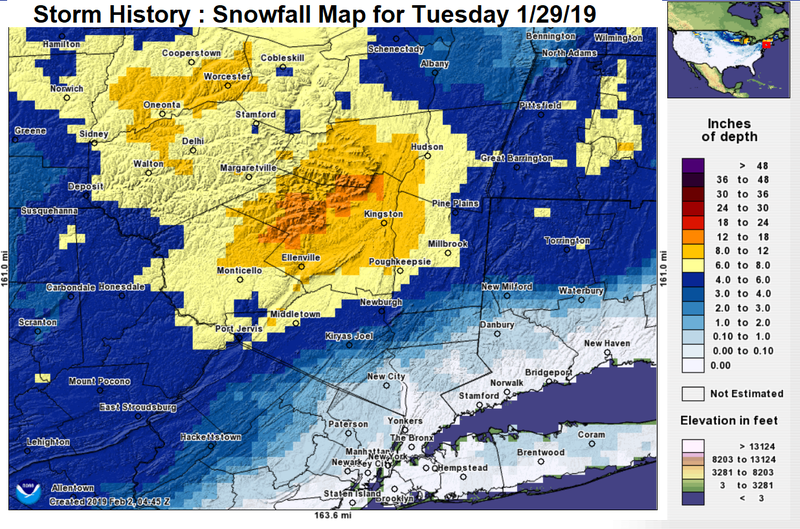 The primary criticism that was echoed from the general population across not only the Hudson Valley, but the greater Tri-state area, including NYC… was that nobody was forecasting this much snow, and that “we were completely unprepared”. There was a widespread feeling about being caught off guard. So how about our snow totals, where did they stand? If we break down our forecast into the 3 different forecast ranges [5″-10″, 4″-8″ & 3″-6″], and compare to what actually occurred, how did it compare? To do this, we try to quantify how much of the area fell within the forecast, and how many areas were outside the forecast range. Then we will assess the result of our forecast accounting for only the snow totals (not addressing timing or impact). 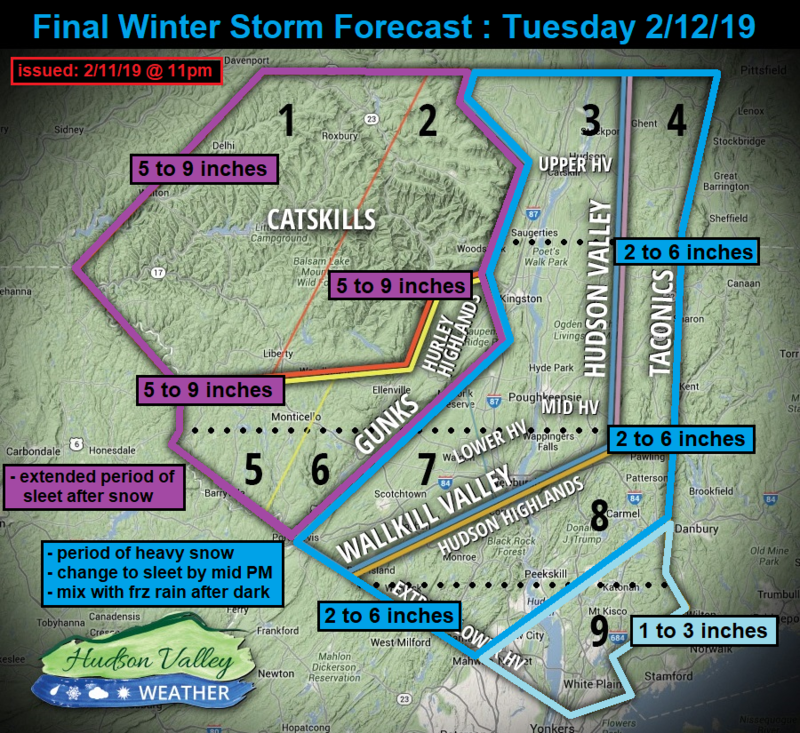 So after looking at the details… the area that saw the greatest difference between the forecast and the result, was the Mid Hudson Valley. We expected widespread 4 to 8 inches in that area… but saw widespread 8 to 12 inches instead. A lot has been made of this… probably more than would be made if it was the middle of winter. Because this was the first storm of the year, and because of the impact on the PM commute, there has been extra frustration around forecasts on this storm. So why were the totals higher than our forecast? There were two major reasons, in all actuality… and they’re both related to the same root cause. Quite simply… it was colder than the computer models projected. It’s just that simple, and it played out in 2 ways. Snow ratios were higher than expected. Snow ratio means how much snow falls, for every inch of liquid precipitation. The standard average is 10 inches of snow, for every 1 inch of liquid… or a 10 to 1 ratio. This time of year, because it’s generally milder than mid winter… it’s common to see 8 to 1 ratios… which generates a heavy, wet snow. But this storm was so cold during the commute… the snow was fluffy and light, which made for 12 to 1, or even 15 to 1 ratios. So the snow piled up even faster than what we projected in some areas. 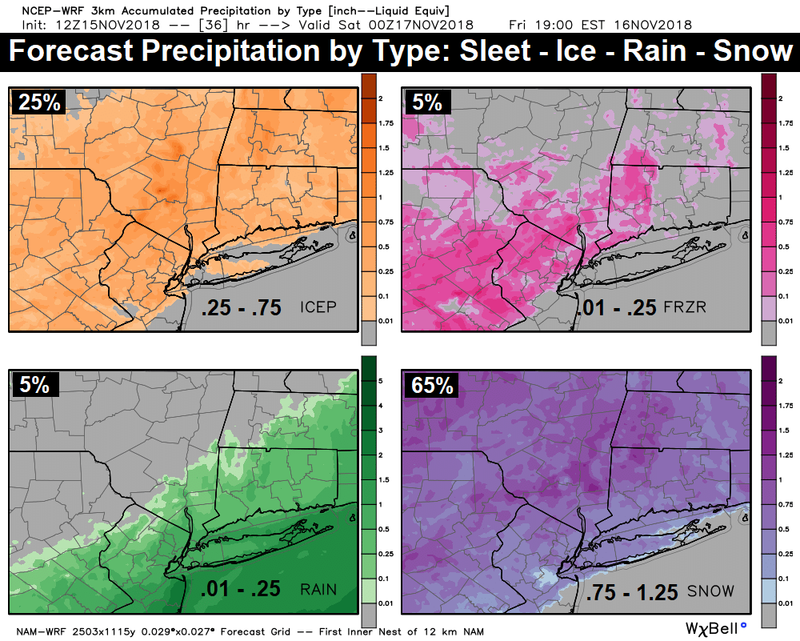 The computer models projected the wintry mix to kick in a little earlier (roughly 65-70% of the storm being snow), which would have kept snow totals a couple inches lower, with a bit more sleet and ice on top of the snow. We explained that the very cold conditions would lead to instant accumulations on all surfaces… something that is very abnormal for mid-November. We explained that the timing could not be worse. Snowfall rates of 1 to 2 inches per hour, starting between 3pm and 5pm, would lead to conditions being fine one moment… and being extremely treacherous 30 minutes later. Then factor in that it’s the 1st storm of the season… and it was a recipe for disaster. If this sounds defensive, it’s not meant to… but it’s meant to be an explainer. 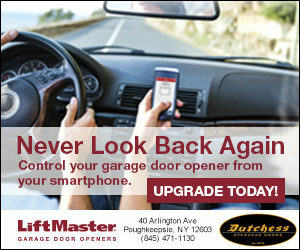 There has been a lot of finger pointing by people in charge, especially in the NYC/NJ area. The conditions in and around NYC were exceptionally horrible, with major roads at a standstill for hours. Even locally, reports of 30 minute commutes taking between 2 and 3 hours to travel, had residents furious. Blame was being placed on local municipalities for not doing an adequate job, for not keeping the roads passable. That there is no excuse in the northeast for roads becoming parking lots… and people being stranded for hours on the roadways. The unpopular fact of the matter is… this is what happens when it snows at 1 to 3 inches per hour, for 3 to 4 hours. Even if road crews had every truck on the road working as efficiently as possible… it is impossible to keep up with those snowfall rates. This is why we explained repeatedly how truly horrendous the PM commute would be, and to get to your destination before it started. There were far too many people on the roads, for the type of weather that was occurring. Hopefully this event will be used as a teaching moment. Pointing fingers and shirking responsibility won’t help make sure it doesn’t happen again in the future. We’ll work extra hard to make sure that we get the details as precise as possible, to provide the best information for planning, and keeping people safe. 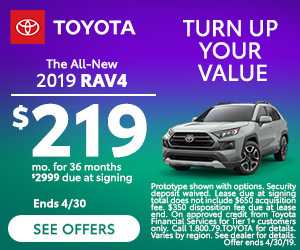 We’re not always going to get every detail correct, but we can promise you that the difference between 6″ and 10″ was not what caused the problems we saw around the Tri-State. 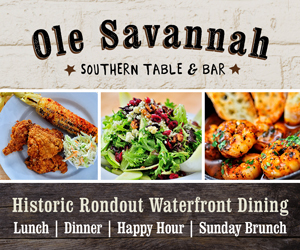 Thanks for reading… and thanks for all your continued support! The Hudson Valley is off to a very warm start, over 10 degrees above average for the first few days. Rainfall amounts are also flooding in across the region. The average for the month is roughly 3.5 inches of rain… and many areas saw over half of that in the past 36 hours. With more rain expected in the coming week… we are looking at the likelihood of a wetter than average November. 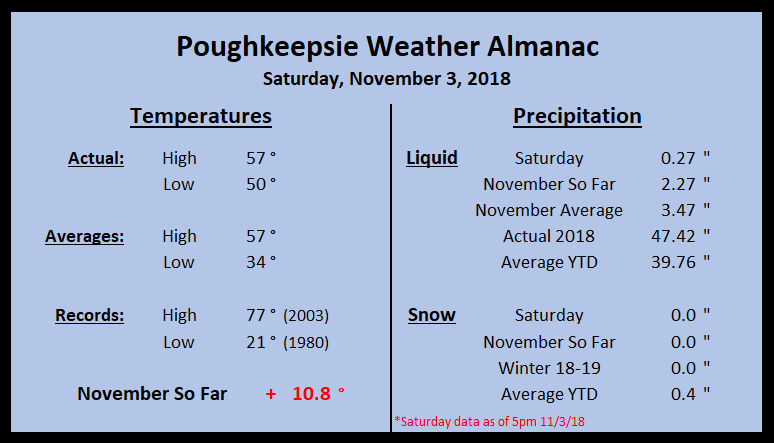 This continues the 2018 pattern… which saw a brief break in the soaking rainfall during October, where we were actually an inch below average in Poughkeepsie at 3.4″ of rain (average = 4.47″). So as we look to the end of the weekend… a much more tranquil day on Sunday. Winds will die down, and sunshine will be the dominant weather story. Mostly sunny skies with temps in the low 50s should do it. Making for a fine autumn day. We’ll have to enjoy that, because some wet weather has its eye on the region for Monday night into Tuesday. So start factoring that into your plans. Full details are available on the 5 day forecast. 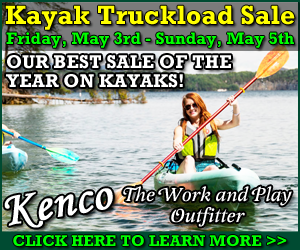 Thanks for your continued support of HVW! Rain… it was the theme of the summer of 2018. At times, the rain fell lightly… at other times it fell at torrential rates. But it seems as if it was a day that ended in “Y”, it was raining. 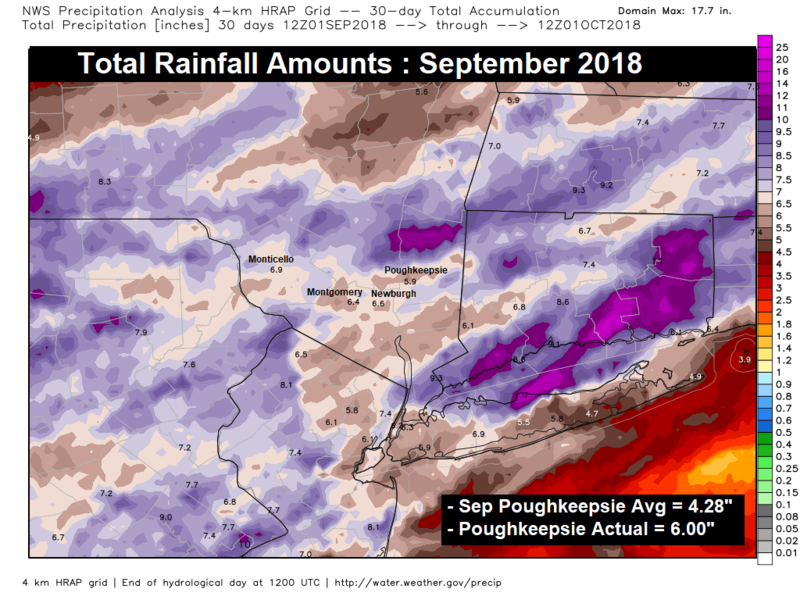 In the 92 days from the start of July through the end of September… 40 of those days had measurable rainfall in Poughkeepsie. That’s 43.5% of the time that it was raining… so basically every other day it rained in the Hudson Valley. Now the water is rising above our ankles. 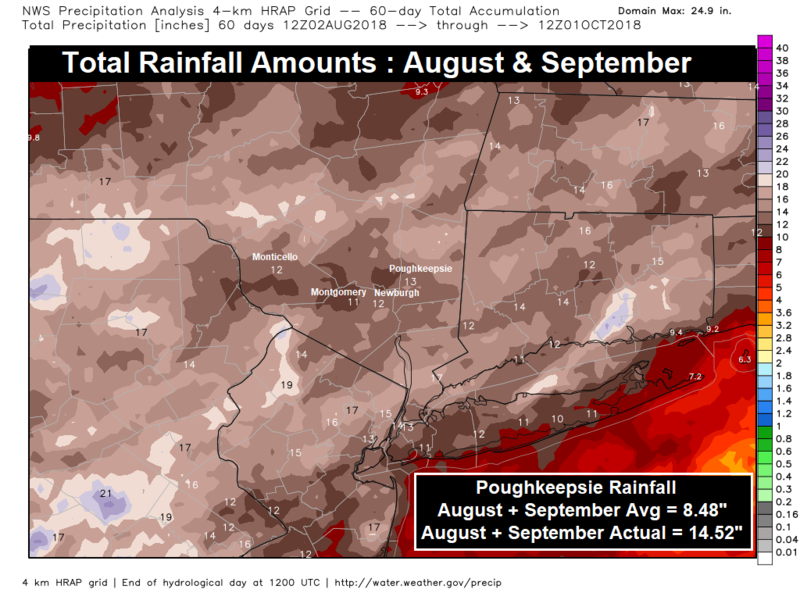 In an average summer, Poughkeepsie would see roughly 8.5 inches of rain between the months of August and September. But in 2018, we saw nearly double that… at 14.5 inches of rainfall. This made sure the grass was always green, and growing like the weed that it is. The problem being, it was always raining… so when the heck were we supposed to cut the grass? Hopefully you’re still with us, and haven’t been washed downstream. An incredible amount of water fell across the region over the summer. 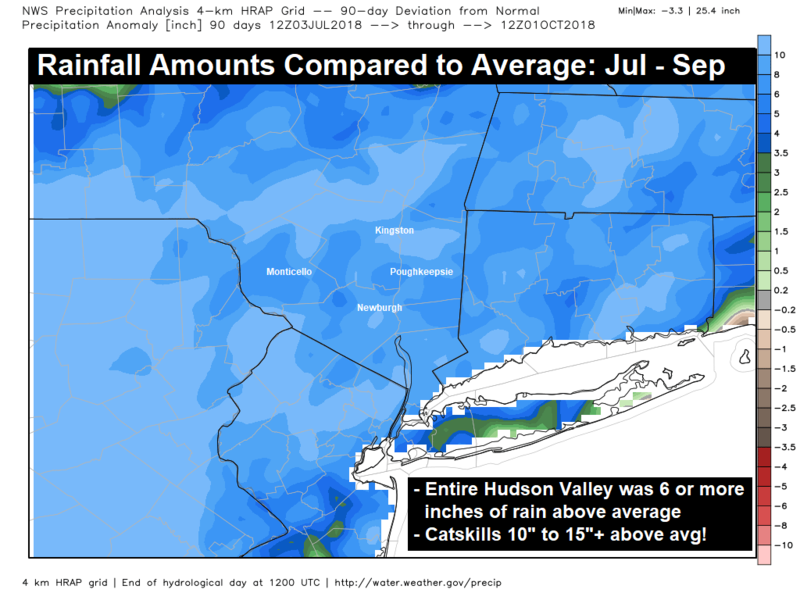 Roughly 1.5 to 2.0 times the average rainfall on average across the Hudson Valley… and in the Catskills, 2 to 3 times the average rainfall. 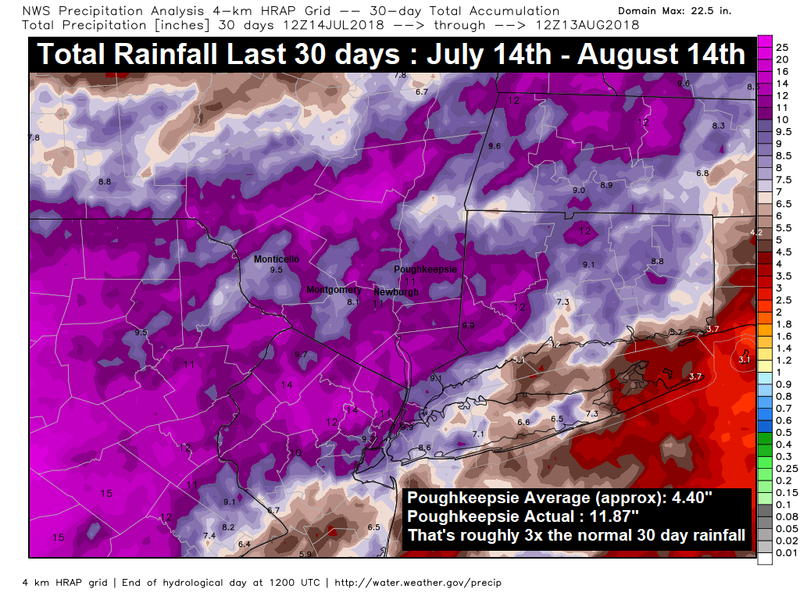 Over 20 inches of rain in many areas… and nearly 30 inches of rain in the Catskills! Truly incredible. Now… this is not to say 2018 isn’t extreme… quite the contrary. 2011 was an extreme summer across the region, in many cases the worst on record. In a matter of 2 to 3 weeks, Tropical Storm Irene and Tropical Storm Lee inundated the region with flooding rainfall. While 2011 saw roughly 1.5 inches more rainfall… 2018 was more consistently wet… with all 3 months seeing 6 or more inches of rainfall. The rainfall we saw in 2018 was better… because it was spread over a longer period of time, making for less flash flooding incidents than what we saw in 2011. 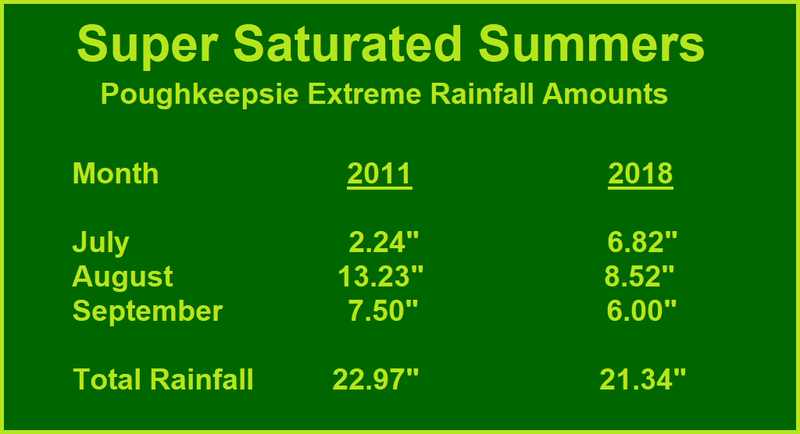 But any way you slice it… both summers were just amazing in terms of rainfall. So there you have it… 2018 was not the wettest summer on record, but it certainly was up there. Make no mistake, the rainfall we saw this year was extreme when compared to average. We have seen summers this wet in the past… but very, very few can compare to the super saturated summer of 2018. Summer 2018 started out like your typical summer. May saw slightly below average rainfall, and the month of June was right near normal. Then an extended heat wave really dried the region out for the first 2 weeks of July… and then everything changed. We saw a series of upper level low pressure systems get cut off over the northeast. The result was a persistent SE flow off the Atlantic, and day after day of rainfall… heavy at times. This has left parts of the northeast under water, with millions of dollars of flood damage. Hershey Park was left partly under water, a car dealership in NJ saw half its inventory float away, and the issues continue to mount around the region. 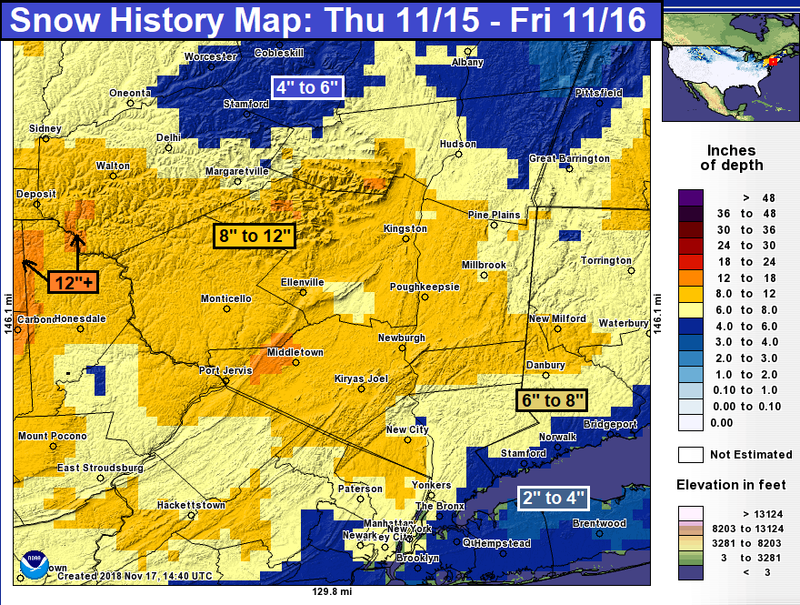 You’ll notice that even on Saturday, parts of the Hudson Valley saw upwards of 2 inches of rain. 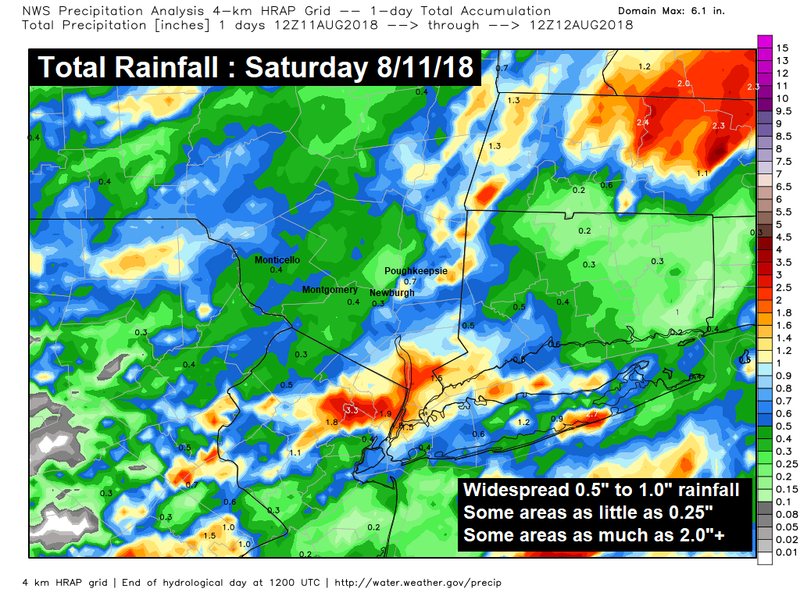 Which could have led to some localized flash flooding… but it looks like most areas escaped unscathed in terms of flooding concerns this weekend. We don’t yet have the stats for Monday’s rain… but surely it will only add to the totals you see above. But when we step back and take a look at the month of August as a whole, through the 12th… just look at how wet it’s been! The average monthly rainfall in Poughkeepsie is about 4.2 inches. So the average rainfall for the first 12 days of the month is roughly 1.6 inches of rain. What the region has ACTUALLY seen in those first 12 days, is anywhere from 2 to 4 times the average! 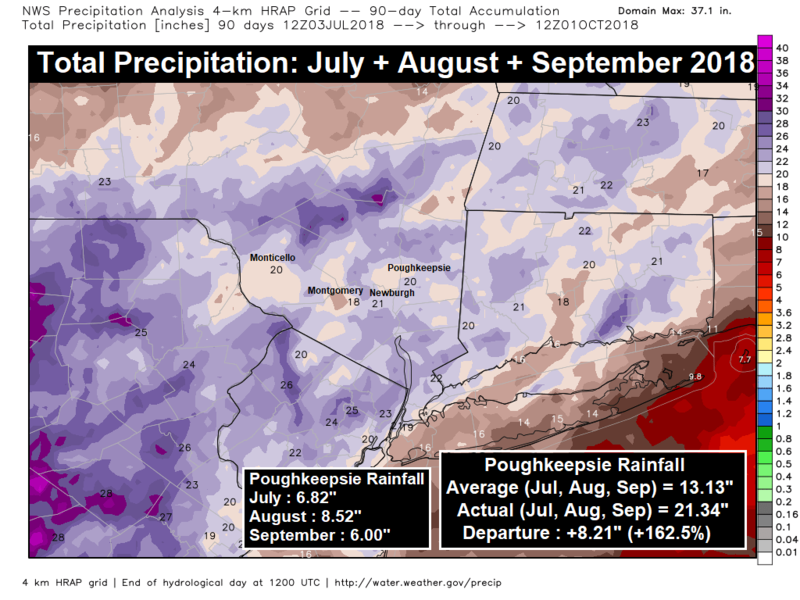 Poughkeepsie has seen 5.14 inches of rain so far in August… over 3 times the average so far in August. 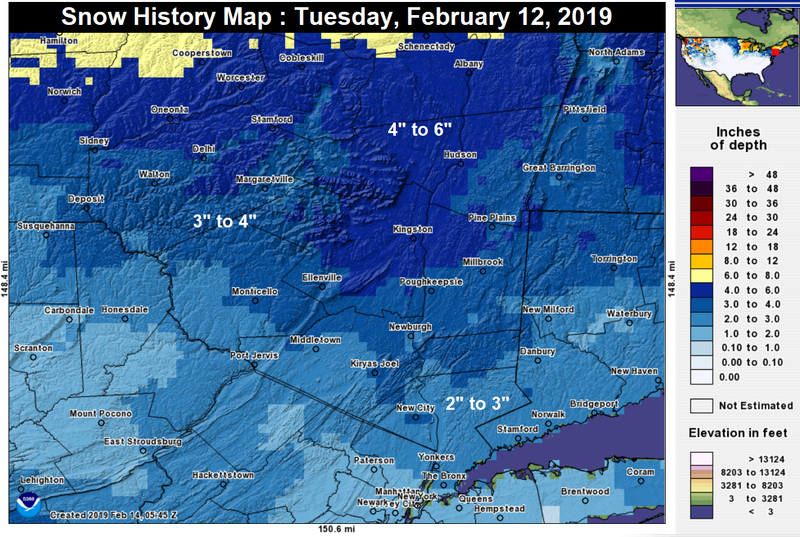 Widespread 2 to 6 inch totals have been observed across the Hudson Valley… with some localized areas near the Tappan Zee Bridge nearing 8 inches! As you head up into the Catskills, you’re looking at a general 4 to 6 inches of rain… mostly due to elevation enhanced rainfall totals. Just a complete deluge of rainfall across a very large area over the last 30 days. 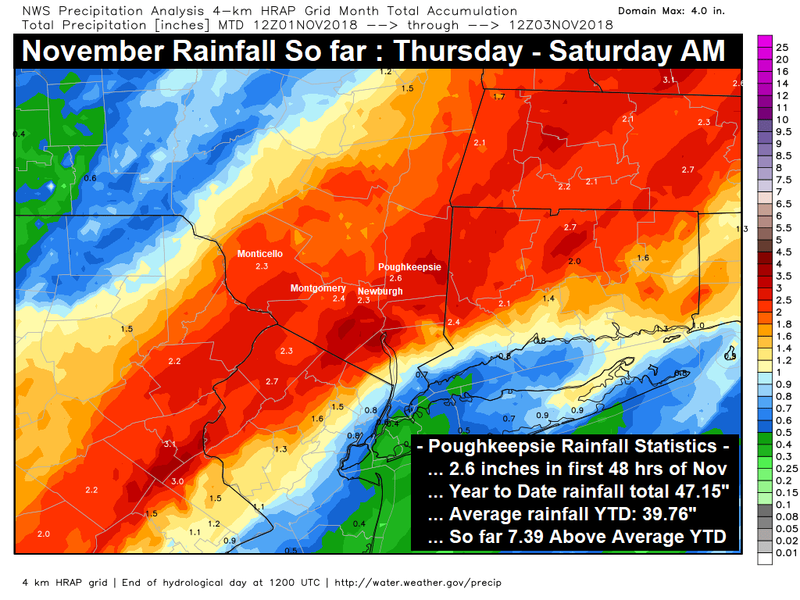 For a region where the average 30 day rainfall is somewhere around 4.4 inches… Poughkeepsie has seen 11.87 inches of rain! And unlike many summer rainfalls, that is not an isolated amount. Look at the widespread area of 10 to 15 inches of rain, represented by the bright purple colors. That’s roughly 3 times the average rainfall over a 30 day period… enough to cause widespread flooding concerns. Ultimately, it’s been so wet over the past 30 days… that any new rainfall immediately causes flood concerns to rise. The ground is completely saturated across the region… so we really could use a break from the rainfall. Sadly, it doesn’t seem to be in the cards. Projections have additional dips in the jet stream over the eastern US, which will result in multiple chances of rain. You can see, that the unsettled conditions don’t appear likely to go away any time soon. We do expect a break for the middle of the week, but multiple fronts are projected to push through the region over the next 10 days… and those could bring additional rain with them. The concern will be for heavy downpours, where heavy rainfall amounts occur in short periods of time. That’s where the greatest threat for Flash Flooding will occur. We’ll have to monitor the situation closely as we move forward. 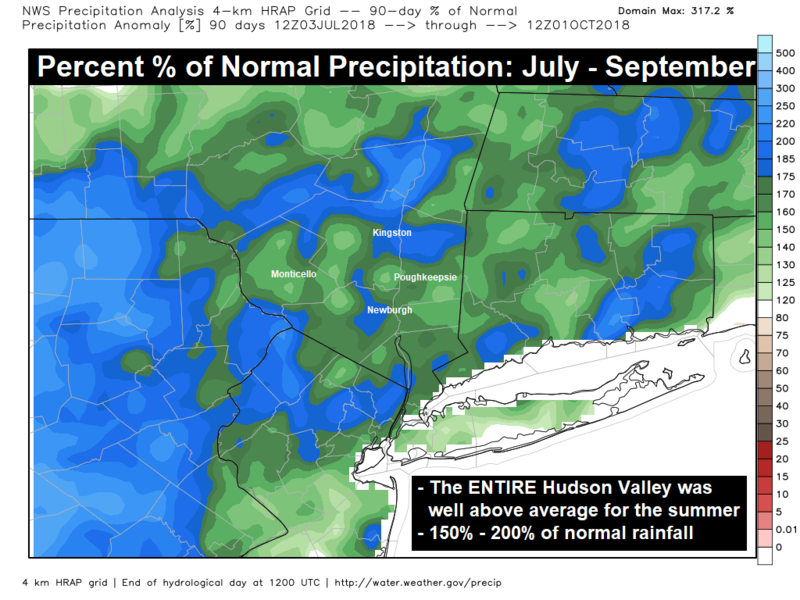 As wet as this summer has been so far, it’s not unprecedented in the Hudson Valley… not by a long shot. 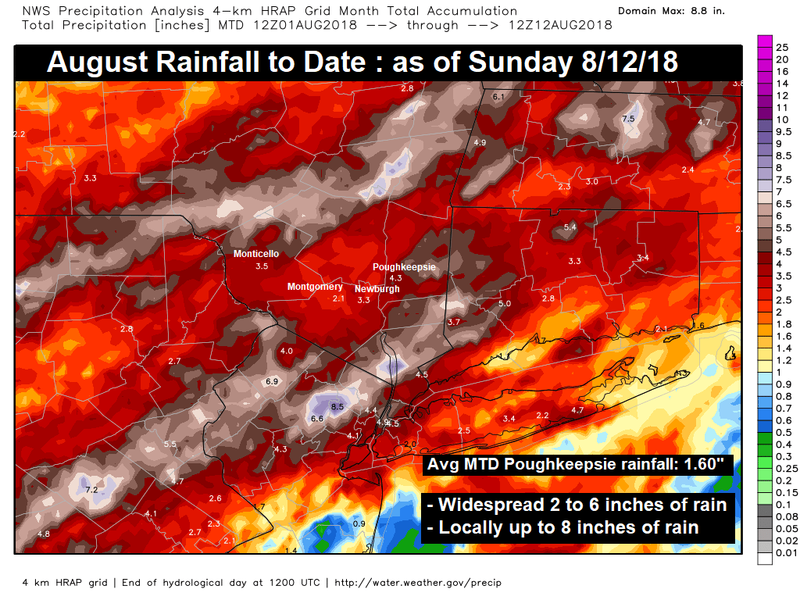 In 2011, in the matter of 10 days, we saw Tropical Storm Irene and Tropical Storm Lee drop 7.1 and 5.6 inches respectively in Poughkeepsie… for a combined 12.7 inches in just 10 days! When we look at the 2 month period, we saw a combined 60 day rainfall of 20.73 inches for the month of August and September, which is roughly a FOOT above average! So while this summer has certainly been soggy… it’s not unheard of. Hopefully we can get some dry weather to move in over the coming week or two. 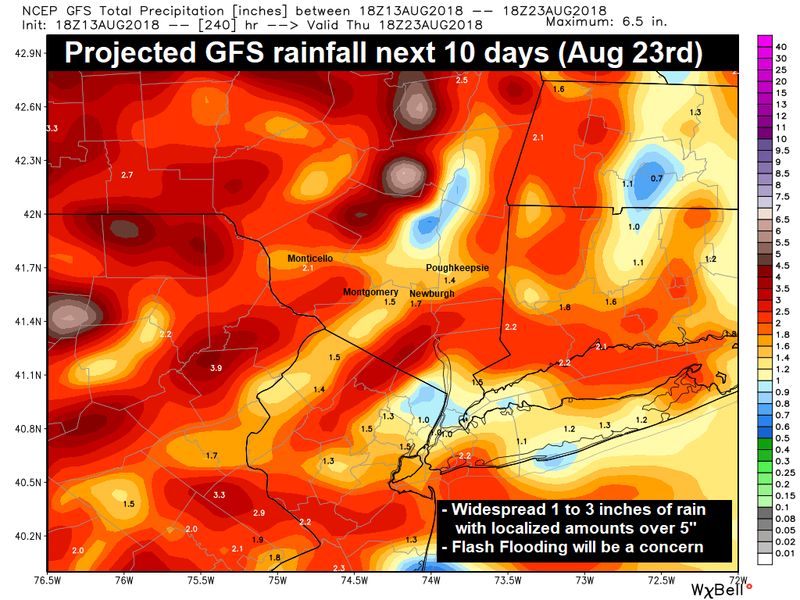 But if guidance is detecting the pattern correctly… it looks like there will be more rain in the offing, over the remainder of August. Thanks for reading! Severe weather comes to the Hudson Valley every year, but thankfully events like what we saw on Tuesday are quite rare. A significant amount of damage was done, likely millions of dollars of damage when all is said and done across the region. 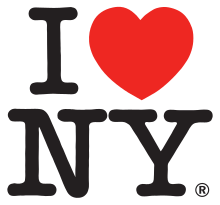 In addition, lives were lost in this event… and our hearts go out to the friends and family of those who were taken by this storm… our thoughts and prayers are with you. So we are going to try and recap this massive event. This severe event was so large in size and scope, that the National Weather Service was not able to account for all of the events in our area. We have allowed for several days to pass, and for additional reports to come in and verify… but still, there are some cases that are not accounted for on this list from the National Weather Service (NWS). So please understand that this compiled list and map will not be perfect. 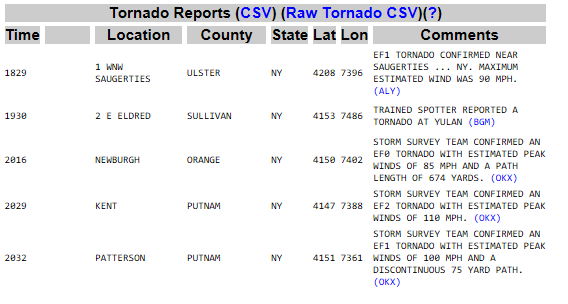 We have utilized the NWS database for the date, and removed reports outside of the Hudson Valley in NY. So below you will find 3 graphics… one for tornado reports, one for hail reports, and one for wind damage reports. Below those, is a map with the severe reports plotted by location. The National Weather Service confirmed 4 of the 5 tornadoes that were reported. The Eldred tornado was classified as a severe downburst, with winds up to 95mph. But there were 4 confirmed tornadoes, and that is very likely the largest tornado outbreak in recorded history of the Hudson Valley. There were 2 tornado outbreaks with more confirmed tornadoes in New York… on May 31, 1998 (10) and May 31, 2002 (5). But those outbreaks were not focused in the Hudson Valley, with the 1998 outbreak being focused upstate (Saratoga area had an EF3), and the 2002 outbreak had 3 tornadoes in the Hudson Valley (1 confirmed in Delaware county, 1 unconfirmed in Dutchess county, and 1 unconfirmed in Putnam county). Prior to the periods discussed above… tornado data in New York is a bit more difficult to authenticate. So while we are certain that this was the largest outbreak in the Hudson Valley in at least the last 20 years… and are fairly sure it’s the largest confirmed tornado outbreak in the Hudson Valley’s recorded history… we cannot be 100% sure as of this post, that there was not a larger outbreak at some time. The map is jaw dropping, with roughly 50 reports of wind damage, and roughly 20 reports of hail in excess of 1 inch of diameter… in addition to the 4 confirmed tornadoes and 1 reported tornado that turned out to be downburst… for a total of 75 severe reports in the Hudson Valley. 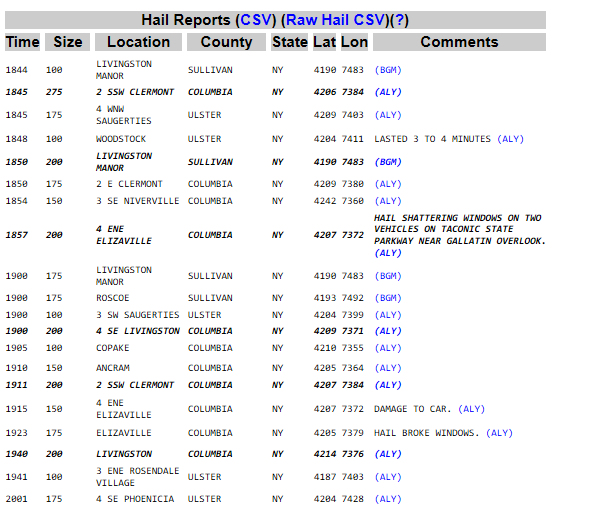 In comparison, the May 31, 2002 severe weather outbreak produced roughly 5 reports of wind damage, 9 reports of hail, 1 confirmed tornado and 2 unconfirmed tornadoes… for a total of 17 severe reports in the Hudson Valley. It would take us a considerable amount of time to look at ALL the data on record to be certain, but it stands to reason that the May 15, 2018 severe outbreak was the largest severe weather event on record for our area. For all the reports that were submitted to the National Weather Service, there were MANY cases of severe weather damage that were not reported. 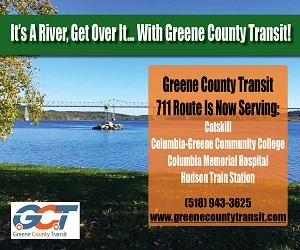 Likely the most asked about area, is an area near the Tri-county area where Sullivan, Ulster and Orange counties meet… affectively between Pine Bush, Walker Valley, and Bloomingburg. The primary road that traverses this areas is Burlingham Road. We have highlighted this area on the severe weather map above, to demonstrate that there are no severe reports that were given to the National Weather Service. Due to the high inquiry, with no official reports listed, we (HVW) decided to do a brief assessment of the damage in the region, to see if a tornado had possibly touched down in that area. After a preliminary review, it’s likely that a strong microburst or macroburst affected that area, with wind gusts over 60 to 80mph likely. There were dozens… maybe hundreds of trees downed in an area of roughly 10 square miles that we informally surveyed. Almost all of the debris was facing the same direction… as if a giant knocked over the tree from west to east… meaning that straight line winds were almost certainly responsible. Hopefully someone from the National Weather Service will take a look at the debris, but this particular area faces 2 problems. The first, is that it is the intersection of 3 counties… and each county is covered by a different NWS office. It could easily be difficult to decide which NWS office should send a research team. The second problem for this area, is that no report was made to the National Weather Service by a trained spotter… and thus the NWS may not be aware of the situation. We’re not sure if there is a certified NWS spotter in that area, but this is surely one of the problems with reporting and analysis of severe weather events… even today, in 2018. If the reports don’t get made to the appropriate people, then historically speaking, it’s as if the event never happened. We’re not sure exactly how to fix this problem… but it’s an issue that is surely worth future discussion. This was a tremendous event, any way you slice it. From the severity of damage, to the size of the area damaged, to the number of people impacted, to the duration of time that some areas were without utilities. We expect that additions and corrections will be made to the data and reports as time goes on… simply because of all the number of things that need to be taken into account. We welcome additional reports and information in the comments section, and we will try to work those items in where necessary. It’s several days after the fact, but we never got to recap our Monday snow event. So with the weather quiet and cold for this Sunday, let’s instead take a look back at the snow from last week. Winter continues to plow through the month of March, and straight into April. When dealing with snow events on or around April 1st… it’s frustrating as a weather forecaster. Everyone loves a good April Fool’s joke, so everyone wants to assume (or hope) that snow forecasts on April 1st are indeed… just a joke. A wave of low pressure pushed through the Ohio Valley and eastward to the coast. 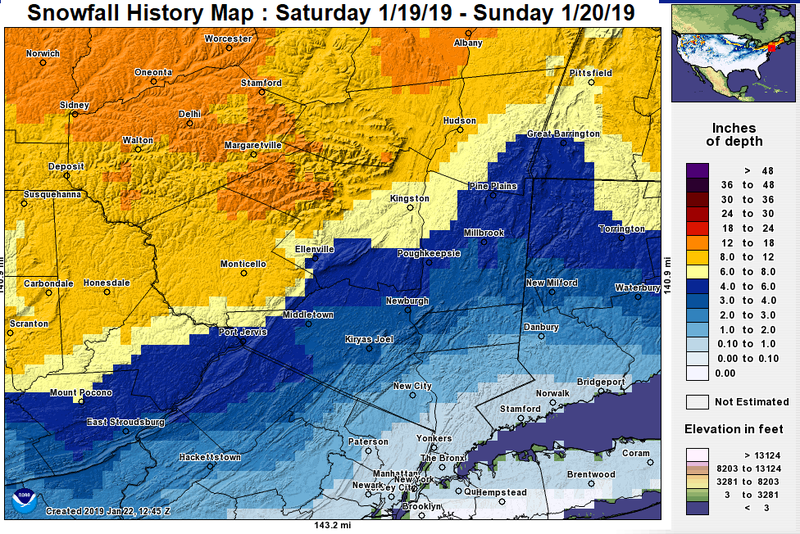 As the system reached our area, it ran into cold air, and produced snow over the entire Hudson Valley… with the heaviest amounts focused in the lower half of the valley. Reports came in of snow and slush covered roads all the way down into the valley areas, which is quite a feat in the month of April. But when you get a burst of moderate to heavy snow falling in the early morning hours, the road surfaces can cool enough to get accumulation. 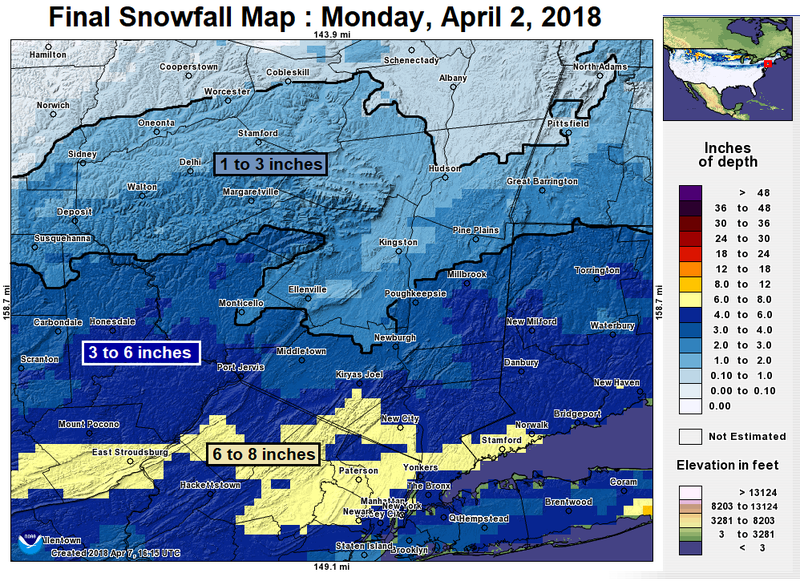 Schools across the Hudson Valley had to close yet again in many cases… which will inevitably cost our local kids and educators a nice day in May or June, to make up the lost day. Many schools tried to hold on to 3 hour delays, because the snow was expected to end between 8 and 10am, and the road conditions would improve rapidly with temps surging into the 40s by noon. But it’s a REALLY tough call to make, and it’s so easy to sit back and “Monday morning Quarterback” these situations. When your back is against the wall, and you have to decide whether to send the buses out and begin the day, or close school…. and you look outside and the snow is still pouring down… it’s really hard to stick to your guns and start the school day. In this particular case we had extremely high confidence in our forecast for the snow to taper in time for delayed schools to open safely. But we can appreciate why the person making the decision, would err on the side of safety. Forecasts have been proven wrong before, so even though the forecast says that the snow is going to taper off around 9am… when you see the snow actively falling, it’s tough to put the kids on the bus… banking on the forecast to be right. Again… it’s always easy to look at the situation after the fact and criticize it. But it did snow into April… and now the question, is “will it snow again?”. The jury is out on that… but the possibility is surely there. Time will tell… but the end of winter is now within view… and warmer weather is on the horizon. But this was surely an impressive snow event for early April.